We’ve always wanted to take my daughter to Disneyland but we’re not currently in a position to do so. She is nearly 5 so is at the perfect age, old enough to remember it, but still young enough to experience the magic. 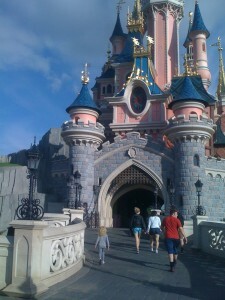 So, when Auto Trader offered us a trip to Eurodisney outside of Paris we jumped at the chance. The journey was fairly easy. A Subaru Forester was delivered to us on the Thursday night. We drove to Folkestone to catch the Eurotunnel; the crossing was only 35 minutes, followed by a 3 hour drive on the other side. However, the motorways in France are so much better than here in the UK and so are the services. I know very little about cars and am not a petrol head so can’t say a lot about the car except it was comfortable, easy to drive, much quieter than our own diesel Passat, excellent fuel mileage, loads of room in the boot and we even had enough room for ‘Yellow Bear’. According to my husband ‘it made the journey relaxing’. It had a rather odd locking system, but we eventually worked it out. The park wasn’t brilliantly sign posted but I’d purchased France maps for my Sat Nav, which proved invaluable! We stayed in the Hotel Cheyenne which is a Western Themed hotel, which is one of the Disney Hotels. The bonus of staying at one of the Disney Hotels, you get 2 hours in the park in the morning before everyone else. Bliss! Plus, each morning the Disney Characters come to the hotel to meet the kids and take photos, which allows you to avoid the huge queues to see them in the park. Getting around Eurodisney is a breeze they lay on buses which run ever few minutes all day to run you to and from the Park and only take about 5 minutes. So you can always pop back to the hotel if you need a bit of a break, which we did! Now for the Park, it was truly magical! There are rides for everyone. Yes, the queues are a long but to avoid some of the queues you can use the Fast Pass system which is free. Basically visit the ride, take a ticket then come back at your allotted time. Our daughter’s favourite rides were the Flying Elephants, Peter Pan’s Flight and It’s a Small World which we did several times. I still have that song in my head! One of our highlights was the Parade. Do make sure you see one while you’re there. I have to admit, as slightly older parents it was absolutely knackering. I felt like I’d run a marathon but it was worth every minute. It wasn’t about us it was all about her. As you can see by the video, she had the time of her life and hopefully will remember it in years to come. Disclosure: The entire trip was courtesy of Autotrader who have been uniting people with their dream cars for over 35 years. We can’t thank them enough for making our daughter’s dream come true. Sounds and looks like a great weekend, Ive been to the Florida Disney many times but can see the park and organisation look as good in France! I’ve never been to Florida but went to the one in California and I do think it compares. Oh yes we did, I was looking for a place that sells hotdogs and beer and it was recommended by one of the workers! 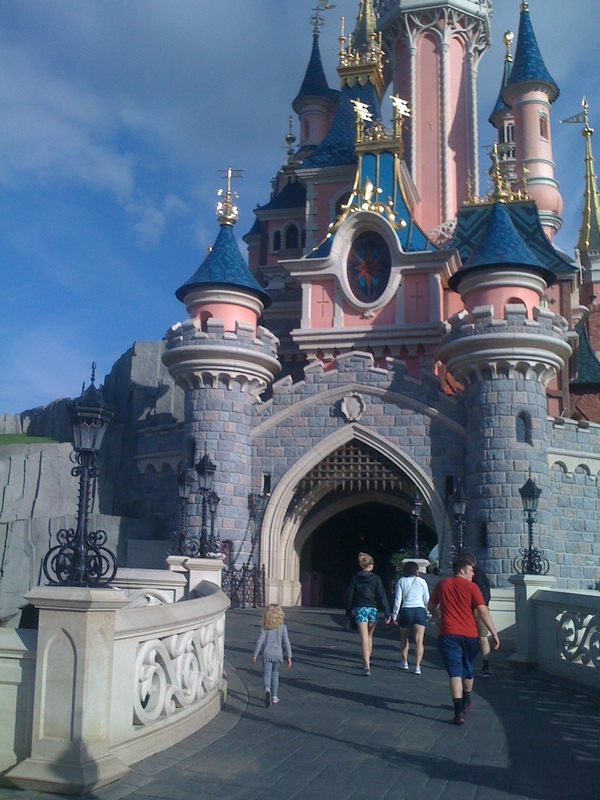 I love DisneyLand Paris, have had some amazing holidays there. Fella and I have said that if we have kids it would be exhausting to take them (would it be unethical to leave the kids with our parents and just go ourselves???). My favourite parts of Disney were Crush’s Coaster and Rock and Rollercoaster. European fairytale culture, not plastic Disney culture and way, way, better.